Eye-catching looks with a V-shaped neck and DMT Design pickups. 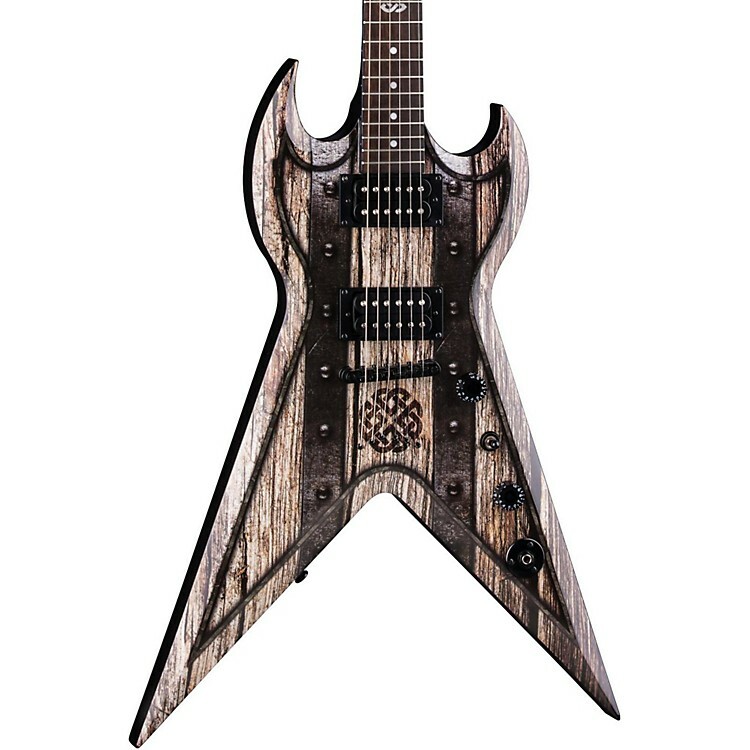 The Dean SplitTail is an electric guitar that combines some of the most popular guitar shape features. The mahogany body has deep dual cutaways with sharp horns and beveled edges that continue around the entire guitar. The beveled edges make the cutaways even more effective in providing access to the higher frets. A V-shaped mahogany neck and rosewood fretboard with pearl inlays will keep you shredding or chording comfortably for hours. DMT Design humbuckers come standard on this model. The tune-o-matic bridge combined with Grover machine heads keep you and your Dean SplitTail electric guitar in tune and ready for action. Case sold separately.